Following on from our Business and Social Enterprise Day in February 2017, we were delighted to sponsor children at Edna G Olds Primary Academy for their Language Club initiative. A team of six children from Edna G Olds Primary Academy attended Reach Out’s Business and Enterprise Day alongside nine other local primary schools in February 2017. The aim of the day was to raise children’s aspirations and community engagement with a social entrepreneur challenge. We asked each attending school to identify and solve a creative, cultural or environmental problem within their immediate community. Working from specially designed business and project management resources, children had to pitch their initiatives complete with details of endorsements, budgets and timelines. We were delighted with the variety of campaigns devised by all schools, but pupils from Edna G Olds especially impressed us with their initiative that promoted inclusivity for children and their families from all cultural and ethnic groups. 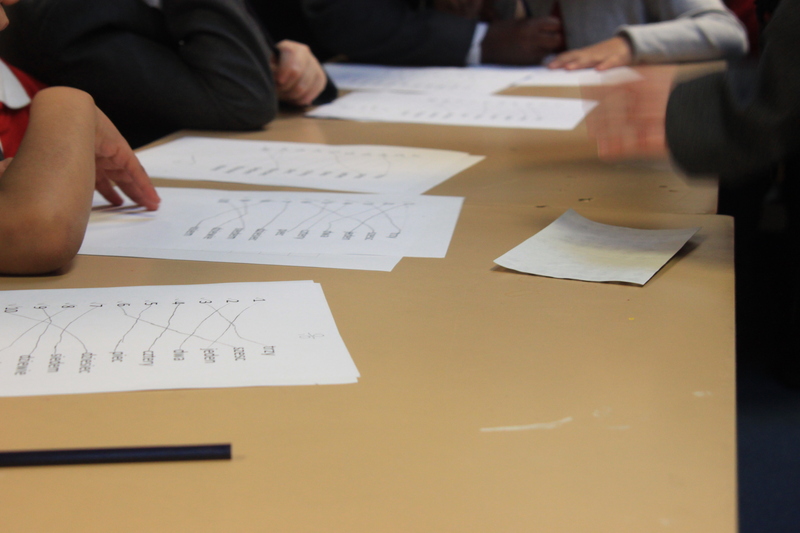 Delivered during lunchtimes, Language Club would feature lessons presented by pupils with first or second language knowledge in European, Asian and African languages. Under the supervision of Mrs Debbie French, Teaching Assistant at Edna G Olds, and Miss Wendy Taylor, Outreach Coordinator at Nottingham Girls’ High School, children developed a skill-share programme encompassing basic language attributes such as pleasantries, numbers and colours through to games and recipes. Children responsible for initiating the club are now in Year 6 and hope that their younger peers will continue to lead sessions on a Thursday lunchtime. “I have learnt so many things including how to make my own presentations and worksheets,” says one pupil. 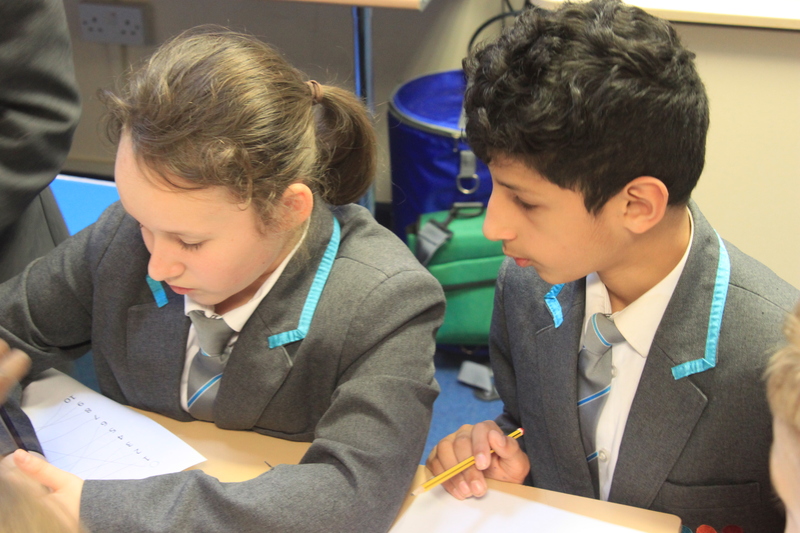 Preparing for each lunchtime club has seen some pupils excel independently, taking confidence and pride in preparing their own resources and making them available to their fellow students. “It’s great to see some children excel in a project like this when they often struggle in classroom environments,” says teaching assistant Debbie. 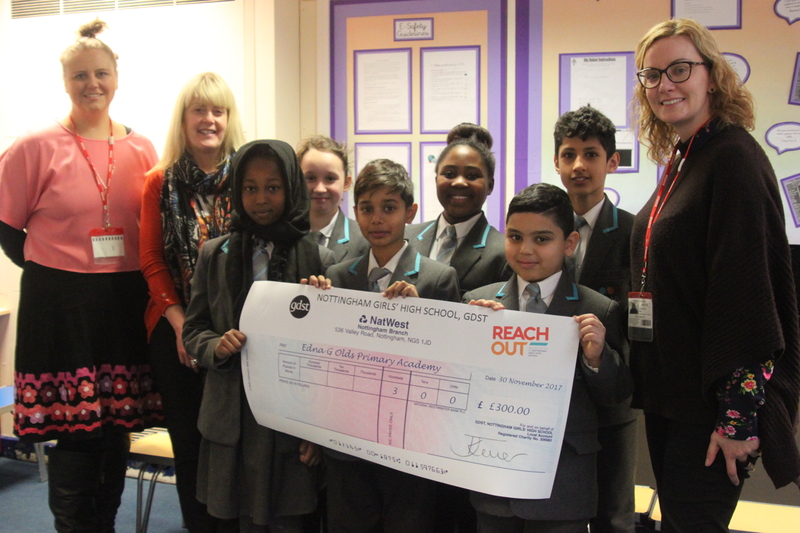 Reach Out presented a cheque for £300 to Language Club on Thursday 30 November 2017. The money will help Edna G Olds Primary Academy purchase additional resources to ensure the club can continue and develop into the next academic year. Reach Out will be launching Business and Social Enterprise again in the Spring of 2018 and look forward to entries from partner schools. Left to right: Miss Taylor, Reach Out Coordinator; Mrs Debbie French, Teaching Assistant at Edna G Olds Primary Academy; Year 6 Language Club leaders; Miss Julie Keller, Head at Nottingham Girls’ High School.